Israeli forces continued with systematic crimes in the occupied Palestinian territory (oPt) for the week of 04 – 11 January 2018. Israeli forces continued to use excessive force in the oPt; 22 Palestinian civilians, including 6 children, were killed, in the West Bank and Gaza Strip. 15 of them were hit with live bullets, 6 were hit with rubber-coated metal bullets, and 2 were hit with sound bomb shrapnel. Meanwhile, Israeli warplanes targeted an agricultural land, east of Rafah City, and sprayed poisonous pesticides in the eastern Khan Younis. 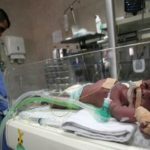 During the reporting period, Israeli forces wounded 28 Palestinian civilians, including 6 children, in the West Bank and Gaza Strip. Fifteen were hit with live bullets, 11 were hit wwith rubber-caoted metal bullets and 2 were hit with sound bomb shrapnel. 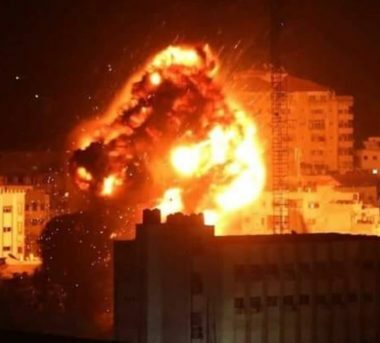 In the Gaza Strip, the Israeli forces continued to chase Palestinian fishermen in the Gaza Sea, target border areas, and carry out several airstrikes against. 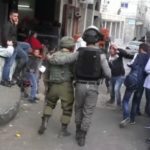 In the West Bank, on 29 December 2017, Israeli forces wounded 21 Palestinian civilians, including 6 children. On 04 January 2018, Israeli forces wounded 12 civilians, including 5 children, within 10 minutes only when dozens of Israeli undercover agents “al-Mosta’aribeen” sneaked into Dheishah refugee camp, south of Bethlehem, to carry out an arrest campaign. After an hour, an Israeli infantry force of 100 soldiers moved into the camp. When they approached al-Walijah neighbourhood in the camp, dozens of Palestinian children and youngsters gathered to throw stones, empty bottles and Molotov Cocktails at them to prevent them from moving forwards. The Israeli soldiers immediately fired live bullets and rubber-coated metal bullets at the Palestinians. As a result, 7 of them were wounded with live bullets and the 5 others were hit with rubber-coated metal bullets; 2 of them suffered serious wounds. On the same day, Israeli forces wounded a 20-year-old civilian with a bullet to the head when dozens of Palestinian youngsters gathered at the main entrance to Deir Nizam village, northwest of Ramallah, after the funeral of Mos’ab al-Tamimi (17). The Israeli soldiers opened fire at the youngsters wounding the 20-year-old civilian, who was transferred to Istishari Hospital in al-Rihan Suburb to receive medical treatment. His condition was described very serious. On 05 January 2018, Israeli forces wounded a 19-year-old Palestinian civilian with a rubber-coated bullet to the right thigh when they moved into Qaddourah refugee camp in the centre of Ramallah. On 06 January 2018, two Palestinian civilians were wounded with sound bomb shrapnel in their feet when Israeli forces suppressed a protest on Salah al-Deen Street in the centre of the City. On 07 January 2018, a 20-year-old civilian was hit with a bullet to the left side of his waist. Doctors said that his condition is critical. That occurred when Israeli forces moved into al-Mazra’ah al-Gharbiyah village, northwest of Ramallah, and a number of children and youngster protested against them. On 09 January 2018, 3 Palestinian civilians were hit with live bullets when Israeli forces moved into Jericho and a number of youngsters protested against them. On 10 January 2018, while Israeli soldiers were training in Kherbet Samrah in al-Fao Vallley in Northern Jordan Valleys, east of Tubas. Yasser Abu ‘Aram (4) was superficially hit with a bullet to the head. 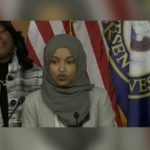 The border areas with Israel witnessed protests against the U.S. President Donald Trump’s decision to recognize Jerusalem as the capital of Israel and move the U.S. Embassy to it. During the protests, the Israeli forces used force against the protestors. 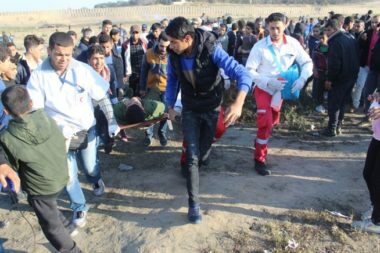 Due to opening fire to disperse the protests, a civilian was wounded with a live bullet in northern Gaza Strip. 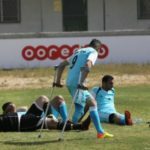 On 09 January 2018, a Palestinian farmer was hit with a bullet to the right leg when he was in his land and Israeli soldiers stationed along the border fence between Israel and Gaza Strip opened fire at the agricultural lands, east of al-Shokah, east of Rafah City in the Southern Gaza Strip. As part of the Israeli airstrikes, on 04 January 2018, Israeli warplanes carried out 2 airstrikes against agricultural lands in al-Shokah village, northeast of Rafah in the southern Gaza Strip. No casualties were reported. On 08 January 2018, Israeli helicopters fired flare bombs in the sky, east of Khan Yonuis in the southern Gaza Strip. Neither damage nor casualties were reported. On 09 January 2018, Israeli warplanes sprayed the agricultural lands along the border fence, east of al-Qararah, northeast of Khan Younis, with poisonous herbicides under the pretext of killing grasses for security reasons in the area. Farmers said to a PCHR fieldworker that the Israeli forces previously sprayed the agricultural lands with herbicides causing damage to the crops and financial damage as well. As part of targeting fishermen in the sea, on 08 January 2018, Israeli gunboats stationed offshore, northwest of Beit Lahia in the northern Gaza Strip, heavily opened fire at Palestinian fishing boats. The Israeli gunboats surrounded a Palestinian fishing boat manned by Jihad Murad (25) and Mustafa Murad (18), both are from al-Shati’ refugee camp, west of Gaza City. The Israeli naval forces then arrested, confiscated the fishing boat, and took them to Ashdod Seaport. After interrogating and detaining them, at approximately 23:00 on the same day, both were released and it was found out that Jihad was hit with 6 rubber-coated metal bullets to the chest and legs. The shooting recurred in the area at the fishing boats. On 09 January 2018, in a similar attack, Israeli gunboats arrested 6 other fishermen, including 2 children, and took them to an unknown destination. At approximately 19:00, the Israeli authorities released 5 of them through Beit Hanoun “Erez” crossing while kept Mo’men Jamal No’aman under arrest. After releasing the fishermen, Ahmed al-Sa’idi was found wounded with rubber-coated metal bullets to both legs; Akram was wounded similar bullets to legs and back while Mohammed Abu Jayyab was hit to the legs. The fishermen said that No’aman was hit with tens of rubber-coated metal bullets throughout his body. As part of targeting the border areas, on 08 January 2018, Israeli soldiers stationed at former Nahal Oz Crossing and its vicinity, east of al-Shuja’iyah neighbourhood, east of Gaza City, opened fire at the agricultural lands in the border area. No casualties were reported. During the reporting period, Israeli forces conducted at least 72 military incursions into Palestinian communities in the West Bank while they conducted 7 incursions into Jerusalem and its suburbs. During those incursions, Israeli forces arrested at least 44 Palestinian civilians, including 2 children, in the West Bank. 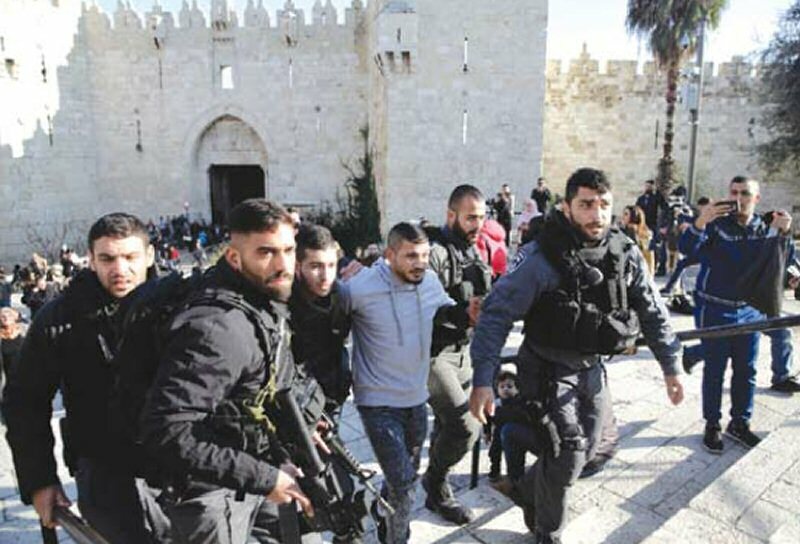 Eighteen civilians, including 6 children, were arrested in Jerusalem and its suburbs. 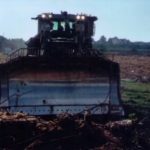 In the Gaza Strip, on 08 January 2018, Israeli forces moved into east of al-Fokhari village, east of Khan Younis in the southern Gaza Strip, and levelled the lands adjacent to the border fence between the Gaza Strip and Israel. As part of leveling in favor of the settlement projects, on 08 January 2018, The Israeli Municipality staff along with the Nature and Antiquities Authorities and Israeli forces conducted excavations in several areas in al-Rababh Valley in Silwan village, south of Jerusalem’s Old City, as a prelude to establish “a tourist footbridge.” It should be noted that the Israeli Municipality plans to build a bridge connecting between al-Thawri neighborhood and al-Nabi Dawoud area, passing through al-Rababah Valley. The bridge will be 197 meters length and 30 meters hight. ttlement projects. As part of restrictions on NGOs’ work, on Tuesday, 09 January 2018, Israeli forces prevented holding a press conference titled “Has not Time Come Yet to Hear Jerusalem’s Cry” in al-Dar Hotel in al-Shaiekh Jarrah neighborhood, north of occupied Jerusalem’s Old City. According to PCHR’s investigations and eyewitnesses’ statements, the Israeli Intelligence officers raided al-Dar Hotel, where the officers then raided the conference hall. The conference was organized by al-Dar Cultural Institution and Elia Association for Media. The Israeli soldiers forced the journalists to leave the hall and then arrested Abed al-Latif Ghaith; Hani al-‘Issawi, Director of Elia Association for Media; and Ahmed al-Safadi. On Friday, 05 January 2018, the Israeli authorities declared that Avigdor Lieberman, Defense Minister Of Israel, approved on constructing and marketing 900 settlement houses in a new settlement residential neighborhood in “Ariel” settlement, north of Salfit. The abovementioned settlement which the Israeli forces call as the “Capital of Samaria” is the second largest settlement in the West Bank. In the same context, Israeli forces prevented the municipality staffs of Kafr Thuluth, east of Qalqilya, from paving al-‘Ayoun Road, which connects the aforementioned village with Qana Valley area after the latter started road maintenance. This happened although the municipality obtained the necessary coordination from the Israeli Civil Affairs as the street is located in Area C which is under the Israeli full control according to Oslo Accords. On 08 January 2018, Israeli settlers from “Alon Morey” settlement cut 15 olive trees in a plot of land belonging to Mohammed Nayef ‘Omran from Deir al-Hatab, northeast of Nablus. 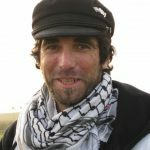 On 31 December 2017, the settlers set a tent on the abovementioned land, and after being removed by the Israeli soldiers, ‘Omran found out what happened to his trees. After an Israeli settler was killed by Palestinian armed persons on Tuesday, 09 January 2018, hundreds of Israeli settlers attacked the Palestinian cars which were stopped by the Israeli forces on Yitzahar settlement Bypass Road, south of Nablus after being completely closed. As a result, windows of some of the cars were broken and Ayman Fariuq ‘Adel ‘Abdat (24) sustained a fracture to the right hand and bruises to the back and legs. The settlers also attacked Palestinian houses in the outskirts of the villages of Bureen and ‘Asirah al-Qebaliyah, sotuth of Nablus. At approximately 12:30 on Thursday, 04 January 2018, dozens of Palestinian youngsters gathered at the main entrance to Deir Netham village, northwest of Ramallah, after they participated in the funeral procession of Mos’ab Feras al-Tamimi (17), who was hit with a live bullet by the Israeli forces on Wednesday, 03 January 2018. The youngsters threw stones and empty bottles at the Israeli soldiers stationed at the abovementioned entrance. The soldiers fired live and metal bullets, tear gas canisters and sound bombs at the young men. As a result, a 20-year-old civilian sustained a live bullet wound to the head. He was transferred via a PRCS ambulance to Al Istishari Hospital in al-Raihan Suburb, north of Ramallah. His injury was classified as serious. At approximately 12:30 on Friday, 05 January 2018, dozens of Palestinian youngsters gathered near the border fence between the Gaza Strip and Israel in the northern Gaza Strip. They gathered near the security fence and threw stones at Israeli soldiers stationed along the border fence. 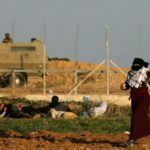 The soldiers stationed inside the watchtowers and in its vicinity in Beit Hanoun “Erez” crossing, northwest of Beit Hanoun village, and east of the Islamic Cemetery, east of Jabalia, fired live bullets, rubber-coated metal bullets and tear gas canisters at the protestors. As a result, a 20-year-old civilian sustained a live bullet wound to the right thigh. Mohamed Tarabu, photojournalist at FM24 Website. At approximately 14:00 on the same day, the Palestine TV staff arrived at the bridge. Among the staff, there was the TV cameraman, Sameh Darouza; the TV reporter in Nablus, Baker Abed al-Haq; and the TV car’s driver. The Israeli forces confiscated their IDs and press cards and then photographed the cards. The staff was detained. At approximately 15:00, the five journalists were released and went back to Nablus while the Palestine TV staff is still detained. At approximately 11:00 on Sunday, 08 January 2018, Israeli forces stationed at a military checkpoint, south of al-Ibrahimi Mosque in Hebron’s Old City, arrested Sabah Abed al-Mo’ti Abu Mayalah (28). She was then taken to an investigation center in “Kiryat ‘Arba’” settlement, east of Hebron. Israeli forces claimed that Sabah had a knife in her bag. At approximately 08:00 on Tuesday, 09 January 2018, Israeli forces stationed at al-Hamra checkpoint in the central Jordan Valley, arrested ‘Ali Abed al-Razeq Abu ‘Erra (20), from ‘Aqbah village, west of Tubas. It should be noted that ‘Ali was arrested after stopping him at the abovementioned checkpoint. At approximately 15:00 on Saturday, 06 January 20178, Israeli forces suppressed a protest organized on Salah al-Deen Street in the center of occupied East Jerusalem against the U.S. President’s Donald Trump Decision to recognize Jerusalem as the Capital of Israel. Shadi Motawar, Secretary of Fatah Movement in East Jerusalem, said that the protest came in light of the ongoing protests organized against the U.S. President’s Donald Trump Decision. He added that the Israeli forces confiscated 3 Palestinian flags from protestors after pushing and beating them. Motawar also said that the Israeli forces used sound bombs to disperse the protestors. As a result, ‘Awad Salaymah, Member of Fatah Movement in Jerusalem, sustained a sound bomb shrapnel wound. Furthermore, ‘Emad Ghrab sustained a sound bomb shrapnel wound to the right foot. The Israeli forces also arrested the Jerusalemite activist ‘Ahed al-Rishq and then took him to Salah al-Deen Police Station under the pretext of raising the Palestinian flag. At approximately 02:30 on Thursday, 04 January 2018, Israeli forces moved into al-Mukaber Mount village, south of occupied Jerusalem. They raided and searched houses from which they arrested 3 civilians, including 2 children. The arrested persons were identified as Islam Ayman ‘Wisat (17) and his brother Fares (23); and Zidan ‘Atah ‘Wisat (15). Zidan’s father said that the Israeli forces raided his house, entered his son’s room and then arrested him while sleeping. Meanwhile, the Israeli forces cursed the father and beat him up. They also pointed their firearms at him and then threatened to open fire at him if he approached his son. At approximately 10:00 on Thursday, Israeli forces moved into Silwan village, south of occupied Jerusalem’s Old City. They raided and searched a house belonging to Yousef Fawaz Burqan (11) and handed him a summons to refer to the Israeli Intelligence Service in “Beit Eliyahu” Center. At approximately 19:00 on Thursday, 04 January 2018, Israeli forces arrested Salah Mohamed ‘Owidah (21) after severely beating him on al-‘Ein Street in Silwan village, south of occupied Jerusalem’s Old City. Eyewitnesses said that the Israeli forces stopped a vehicle carrying 3 persons while travelling on the street. They then checked the passengers’ IDs, forced them to get out of the vehicle, and then searched them. Meanwhile, they severely hit Salah ‘Owidah with hands and riffles’ butts and then arrested him. The eyewitnesses added that the Israeli forces while beating ‘Owidah, they fired sound bombs and rubber-coated metal bullets to prevent families present in the area from approaching him. At approximately 03:00 on Monday, 08 January 2018, Israeli forces moved into Qutnah village, northwest of occupied Jerusalem. They raided and searched a house belonging to ‘Emad Mohamed Mahmoud al-Faqieh (43) and then arrested him. Around the same time, Israeli forces moved into Wadi al-Jouz, east of occupied Jerusalem’s Old City. They raided and searched houses from which they arrested Mofeed Ziyad Sa’idah (19), Fadi Nader Sa’idah (21), and Amjad Showiki (20). All the arrested persons were then taken to al-Maskobiyia Police Station in West Jerusalem for investigation. At approximately 04:00 on Monday, Israeli forces moved into al-Tour neighborhood, east of occupied Jerusalem’s Old City. They raided and searched houses from which they arrested Mahdi Mofeed Khdour (12), Qusai Husam Nader Zaytoun (13), Dawoud Mahmoud Abu al-Hawa (14), and Majd NaderSa’idah (17). At approximately 01:30 on Tuesday, 09 January 2018, Israeli forces moved into Qutnah village, northwest of occupied Jerusalem. They raided and searched a house belonging to Ramy al-Faqieh and then arrested him. At approximately 02:00, Israeli forces moved into ‘Anatah village, northeast of occupied Jerusalem. They raided and searched a house belonging to Osama Zakaria ‘Elian (22) and then arrested him. On Monday, 08 January 2018, The Israeli Municipality staff along with the Nature and Antiquities Authorities and accompanied with Israeli forces moved into al-Rababah Valley neighborhood in Silwan village, south of occupied Jerusalem’s Old City. The abovementioned staffs conducted excavations in many areas in the neighborhood as a prelude to establish a tourist footbridge. 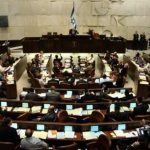 It should be noted that the Israeli Municipality plans to build a bridge connecting between al-Thawri neighborhood and al-Nabi Dawoud area, passing through al-Rababah Valley under the supervision of the so-called “Jerusalem Development Authority.” The bridge length is 197 meters and 30 meters high. Moreover, the Israeli Municipality staff conducted excavations with large vehicles in the neighborhood’s lands to check the soil and to establish the bridge foundations. The lands’ owners and Silwan village’s residents prevent the staffs from continuing the excavations. After that, the Israeli staffs headed to a settlement outpost in the neighborhood and conducted excavations. It should be noted that a large amount of concrete were loaded in al-Rababah Valley lands as a prelude to build the bridge, but the lands owners prevented them. 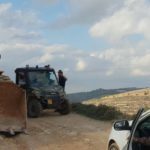 The lands owners also confirmed that on Monday afternoon, they were surprised with Israeli forces raiding their lands and conducting excavations in order to establish a new settlement project without a prior notice that enables them to submit challenges to the competent authorities. The neighborhood’s residents added that the Israeli authorities prevented them from using their lands, mending them, or planting them and only allowed them to harvest olive. 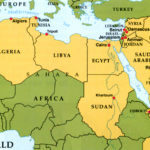 The neighborhood’s residents added that the Israeli new plan aims at confiscating their lands in favor of settlement projects. At approximately 10:30 on Tuesday, 09 January 2018, Israeli forces prevented holding a press conference titled “Time Has Come to Hear Jerusalem’s Cry” in al-Dar Hotel in al-Shaiekh Jarrah neighborhood, north of occupied Jerusalem’s Old City. The press conference was organized against the U.S. President’s Donald Trump Decision to recognize Jerusalem as the Capital of Israel. According to PCHR’s investigations and eyewitnesses’ statement, the Israeli Intelligence officers raided al-Dar Hotel, where the officers then raided the conference hall. The conference was organized by al-Dar Cultural Institution and Elia Association for Youth Media and was scheduled to be held approximately 11:00. It should be noted that the Israeli Intelligence officers raided the Hotel before holding the conference and forced journalists to leave the hall. Meanwhile, an Israeli Intelligence officer took photos of the hall, conference banner, and speakers’ names. Furthermore, Special Israeli forces stationed at the hotel entrance and then prevented entering to the hotel. 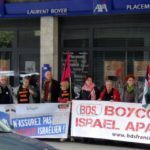 The conference organizers attempted to hold the conference in front of the American House adjacent to al-Dar Hotel, but the Israeli Intelligence officers chased them and then arrested 3 of them. After that, the officers checked the IDs of journalists and other participants. The arrested persons were identified as Abed al-Latif Ghaith; Hani al-‘Issawi, Director of Elia Association for Youth Media; and Ahmed al-Safadi. At approximately 10:00 on Thursday, 04 January 2018, Israeli forces prevented the municipality staff of Kafur Thuluth village, east of Qalqilyia, from paving al-‘Aynoun Road, connecting between Kafur Thulth village and ‘Arab al-Khouli in Qana Valley area. It should be noted that the municipality staff conducted mending works on the street in addition to casting cement on Wednesday morning, 03 January 2018. The Municipality staff was prevented from working despite of coordinating with the Israeli Civil Affairs. 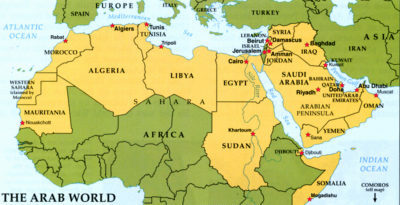 The abovementioned road is within Area C, which is under the Israeli control according to the 1993 Oslo Accords. The municipality spokesperson, Zaki ‘Omar, said via a phone call that on Wednesday ,03 January 2018, the municipality started mending the street and casting cement after getting a coordination from the Israeli Civil Affairs, but on 04 January 2018, the staff was surprised with the Israeli arrival at the area and preventing them from working. The municipality spokesperson confirmed that this step came to meet the desire of Israeli settlers, who gathered in the area and caused chaos. On Friday, 05 January 2018, Avigdor Lieberman, Defense Minister of Israel, approved building and marketing 900 settlement housing units in the new settlement residential neighborhood in “Ariel” settlement, north of Salfit. The abovementioned settlement that the Israeli forces call the “capital of Samaria” is the second largest settlement in the West Bank. It should be noted that “Ariel” settlement was established in 1978 after confiscating 500 dunums from Hares, Medah, and Salfit lands, north of the West Bank. At approximately 11:00 on Wednesday, 10 January 2018, Israeli forces accompanied with a vehicle of the Israeli Civil Administration moved into Kherbit Um al-Khair, southeast of Yatta, south of Hebron. 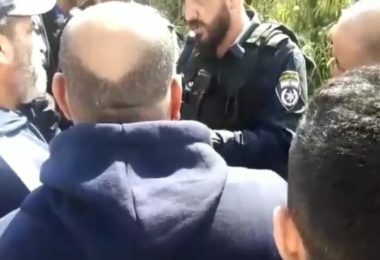 An Israeli Civil Administration officer handed Zayid Suliman al-Hathaleen (22) a notice to stop working in a caravan built of tin plates on an area of 12 square meters under the pretext of non-licensing. At approximately 15:00 on Monday, 08 January 2018, the Israeli Liaison accompanied with a force of Israeli soldiers removed a tent set by Israeli settlers from” Alon Moreh” in a plot of land belonging to Mohamed Naif ‘Emran. The settlers set the tent on 31 December 2017. The plot of land is located in Ras al-‘Ein Mount, east of Dir al-Hatab village, northeast if Nablus. Furthermore, the plot of land is about 30 dumums planted with 70 olive trees and 60 almond trees. After the Israeli forces left the area, Mohamed headed to his land and found around 15 olive trees were cut. Following the killing of an Israeli settler by Palestinian armed persons on Tuesday, 09 January 2018, Israeli forces completely closed “Yitzhar” settlement bypass road, south of Nablus and detained the Palestinian vehicles that were on the road. At approximately 21:30, a round 200 Israeli settlers from a point-blank range attacked the Palestinian vehicles and broke the windows of some vehicles. As a result, a Palestinian driver Ayman Fariuq ‘Adel ‘Abdat (24) sustained a fracture to the right hand and bruises to the back and legs. Ayman received medical treatment in Rafidia Hospital in Nablus. At approximately 21:00 on Tuesday, Israeli settlers from “Yitzhar” settlement established in the southern side of Bureen village, south of Nablus, attacked and threw stones the civilians’ houses in the village outskirts. Meanwhile, group of Palestinian young men gathered and confronted the settlers, but no casualties were reported.